Dodge Viper (1992-2002) Racing 5 pt Harness Custom designed specifically to FIT the Dodge Viper! 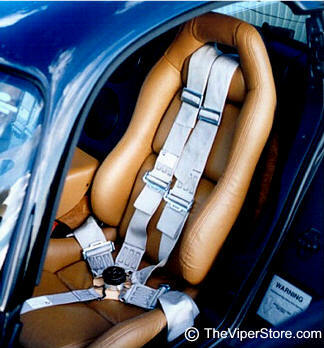 This harness kit was designed specifically for the Dodge Viper 1992-2002. It has detailed directions with how to mount on your Viper. All Viper specialized hardware is included to fit your Viper. 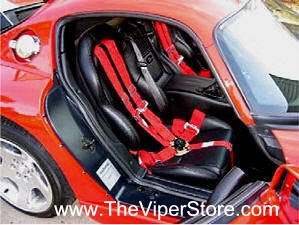 SOP-V2-RH-6PT Dodge Viper (1992-2002) Racing 6 pt Harness Custom designed specifically to FIT the Dodge Viper! 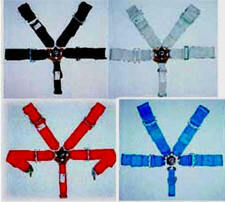 Our 6 point seat belt harnesses are the BEST you can buy! 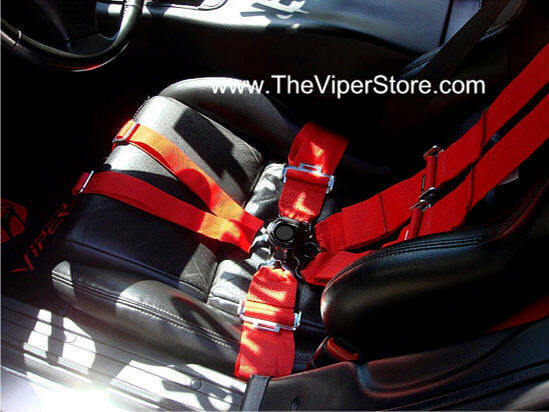 Includes 3” webbing for proper support and safety SFI, SCCA & FIA approved Snap-in sub & lap belts for easy removal & service New raised cam lock logos are available in new and old Viper logos. It has detailed directions with how to mount on your Viper. All Viper specialized hardware is included to fit your Viper 1992-2002. 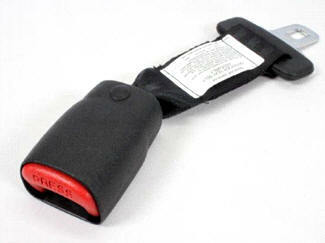 JU-0501-8505AA Dodge Viper 92-02 RT-10 or GTS Seat Belt Extender. 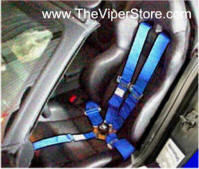 JU-0501-8505AA-X2 Dodge Viper 92-02 RT-10 or GTS Seat Belt Extender - Set of 2.